Now that you’ve gathered your supplies, are you ready to start making your table topper? This week we will do some easy piecing, and I’m going to give you some of my best tips along the way! You can find the previous week’s instructions here: Spring Petals QAL, Week 1. We will be working with the background fabric and corner triangle fabric this week, and we’ll be laying the groundwork for our petal applique which will take place the following week. TIP: Fabric preparation: As a general rule, I don’t pre-wash my fabric as long as I know where it came from. If it’s quality quilting cotton, the chance of color bleeding is very small. Shrinkage isn’t a big factor for me, since most of the shrinkage will occur in the batting (which will depend on the type of batting you use). I will often use spray starch on my fabric before I do any cutting. This adds more stability to your fabric and gives you more control as you cut and piece it. Background squares: You need (16) 5″ squares for the background. If you’re using a charm pack, you’ll want to pick the lightest ones (assuming your petals will be dark). If you’re using yardage, you will cut (1) 5″ strip of fabric from each background fabric, and then subcut that strip into 5″ squares. You may be using 4 different background fabrics as I did for this sample, so you’ll need (4) 5″ squares from each fabric. Or you could use just 2 fabrics (as I did for the modern solid example here) and you’ll need (8) 5″ squares of each. You could also use just one fabric for all of those squares and you’ll need 16 total. Corner triangles: Cut (2) 7 1/4″ squares. Cut them on the diagonal once. This will create the 4 corner triangles. TIP: Working with pre-cuts. If you’re using charm squares for this project, you’ll notice that the edges are “pinked”. The manufacturer does this to keep them from fraying. Use the outer point of the pinked edge as your 1/4″ seam allowance. Since different brands may vary, it’s a good idea to measure your charm square from those tips to make sure it’s 5″ square. Trim if necessary. Use 1/4″ seam allowance throughout (see tip below). Machine set up: I recently took a few pictures of how my machine is set up. I use something called the Betty Bridge by Steady Betty to “even out” my throat/bed space and prevent the bottom seams from flipping up as it goes underneath the presser foot. TIP: 1/4″ seam allowance. I think it’s so important to use a scant 1/4″ seam allowance when you’re piecing fabric for quilting. I did a tutorial a few years ago that showed you how I get a scant 1/4″ seam allowance. You’ll see the Perfect Piecing Seam Guide being used to position the Sewing Edge Vinyl Stop (purple tape) in the photo below. Once that’s in place, I use the Sewing Edge to guide my fabric under my presser foot. It feeds it in straight and perfectly scant. It’s worth the effort to test out your seam allowance by sewing together three rectangles that measure 2 1/2″ x 6 1/2″. Once you sew and press your seams, you should get a square that measures 6 1/2″ x 6 1/2″. If it’s less than that, your seam allowance is too wide. If the square is more than 6 1/2″ then your seam allowance is too narrow. Fabric set up: Place the 5″ squares into 4 rows with 4 squares in each row. Alternate the fabrics to make it look scrappy (if you’re using several different fabrics). Piecing: I like to chain piece and I work in rows. I flip the second square of each row onto the first square with right sides together and pin. I then stack them on top of each other starting with the bottom row and ending with the top row. I take these to my sewing machine and chain piece them through. If I leave them connected after chain piecing, I can easily put them back into place without getting them out of order. TIP: Use flower-head pins to number your rows. I like to number them with a permanent marker (which can be removed with rubbing alcohol). I then put a pin in the first block of each row just in case I sneeze and things go flying. Then I do the same thing with the 3rd and 4th square of each row, sewing them into pairs as well. At this point, I clip the thread in between each row because it’s easier for me. Some people like to keep them strung together throughout. Finally, I sew the pairs together, connecting all four squares of each row. Pressing: I press my seams to one side (instead of open) most of the time. If you want more detail about that, you can see my blog post, Pressing Seams to the Side vs. Open. I think it’s important that you take the time to “set” your seam first. This means that you press it flat just as it was sewn. This helps to sink the stitches into the fabric and evens out the seam, keeping it smooth and straight. Then I flip the top fabric over and use my fingers to make sure the seam is open or flat (no tucks). Then I use the iron to press the seam to the side. I always press from the right side of the fabric. Press the seams in each row to the same side, alternating directions of each row. So the seams in my first and third rows are all pressed to the left. The seams in my second and fourth rows are all pressed to the right. The image below shows the wrong side of the rows, so the seams directions are reversed. The important thing is that they’re alternating. Sewing rows together: It’s really important to nest the seams together in each row. Because of the way you have pressed them, you end up with opposing seams. This is good because it makes it easy for them to nest together and get a snug intersection. Pin at the seam. You have three options for pinning your seams together. (1) Use one pin on the leading side of the seam. (2) Use one pin and pin diagonally, catching both sides. (3) Use 2 pins and pin closely to each side of the seam. TIP: When possible, sew with the top seam allowance facing the needle. As you are sewing, you will be pushing the seam allowances together because the bottom seam allowance acts like a wall that the top seam gets pushed into. Therefore you will get a snugger intersection. When the leading seam allowance is facing away from the needle, the seams are pushed away from each other because there is no wall forming from the bottom seam allowance. There is a tendency for a gap to occur if you haven’t pinned well. It’s not always possible to have the seam allowance facing the needle, but if you have a choice then take advantage of it. In the photo below, you can see how snug all of my intersections are. Proper pinning and paying attention to which way the seam allowances are facing pays off! Once you’ve sewed the rows together, press the seam allowances to one side (it doesn’t matter which side). Your center background is now complete and should measure 18 1/2″ square. Note: I had a hard time deciding which fabric to use for the corner triangles. I changed my mind a few times and I’ve settled on the red gingham with circles on it. I like the picnic feel it gives to the top. You could attach the corners after you have added the petals to your top. You could also “audition” a few options by distributing your petal fabric across the background square and set it on top of the corner fabric that you’re thinking about. Attach the corner triangles to the center background using the triangles created from the (2) 7 1/4″ squares that you have cut in half diagonally. Fold each triangle in half to find the center and finger press a crease there. Match the center of each triangle to the center of each side of the background square. Pin in place. Remember that the raw edge of the corner triangle is an exposed bias edge, so pin well and sew carefully. Press seam toward the triangle. Now your table topper is ready for some petals! It probably took you longer to read this blog post than it will to sew your table topper squares together! If you find that you have extra time, maybe you should make another one! If you’re not excited about applique, you could leave it off of the second one and use fun fabric for the squares instead. I’m just sayin’. If you want to post pictures of your progress on Instagram, use the hashtag #springpetalsqal so we can all see! 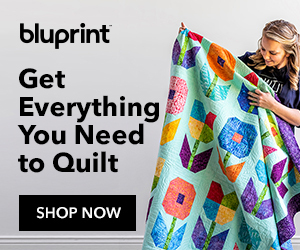 I’ll have a linky tool on the final week of the quilt along where you can upload pictures of your finished project. Alan, what fun it is following your journey (I get you’re only on day two but it’s already been enlightening) with this project/business start up. I love Chris’s idea of having more author content on the website than what’s being offered as bulk production product. That way you could offer customized solutions for a considerable premium. See – your artist has a marketing mind too .Nanette Levin recently posted..
Buna Oana, am si eu o intrebare te rog …as vrea sa-mi dai si mie mai multe detalii despre anticonceptionalele Yasmin…..as dori sa stiu si parerea ta. Si daca le pot luat fara un consult medicat ,sin fara acea pauza de 7 zile despre care tot am citit si auzit .Multumesc! Great tutorial! Can’t wait to start. Hi Julie! Thank you so much for the SAL. I don’t know how many times I have pinned your pattern and wanted to make it, lol! But now I finally just had to jump on the waggon and my top is ready for the petals,yay! I used some prints from the line “make a wish” and I loove it already very much! Thank you for putting so much care into writing the instructions. I really like that you showed different ways to do some of the steps (pinning, for example). Nice photos, too. This QAL is a real treat. Your instructions are very helpful. I wish I had paid closer attention about the seam allowance facing toward the needle, I had a couple of seams slip a little and had to do them over. I am undecided about the triangle fabric so far. This is great and your instructions are wonderful! Thanks for the great tutorial Julie. I never learned about the leading seams facing upward. But I plan to try it. Sometimes even though we have sewed a long time, it is still a good thing to go back to basics. Hands down the best set of instructions I have ever received. I sat down at the sewing machine today a different sewer/quilter because of your tutorial. I really cannot thank you enough. I am off and running with the table topper. Thanks for all the helpful tips. The background is pieced, but like you said, I am having difficulty choosing my side triangles. Still thinking on that. WOW Julie what an outstanding tutorial. As soon as I take care of my current projects I’m going to make this. Can’t wait. Your instructions/ tutorial are very good with great helpful tips. I look forward to starting this project today. Hi Donna, I’ll have a link tool available on the last week of the quilt along to show finished projects. If you use Instagram, you can post pictures of your progress using the hashtag #springpetalsqal. What awesome piecing tips! I feel like I have taken a mini class, Julie!! Your tips are going to be so helpful in my sewing. I do have that yellow Perkins Piecing Checker for verifying my scant quarter inch! It was a life saver to get me started in piecing accurately. And, I never thought about the way the seam allowance pushes toward each other… I know that this concept is going to help my accuracy from now on! I love your low volume/tonal white on white background and bright floral fabrics combination. I am making my background this weekend! Thanks for these awesome tips and guides! Thanks for the great tutorial. One thing that helps a Lot when you cannot have your leading seam allowance facing up is to use fork pins. I have no idea why they work better than 2 separate pins but they do. Try it! That’s a great tip, Susan! I haven’t tried the fork pins but I’ll be looking for them now. Thank you. So much useful information here Julie – thank you. My top is stitched together and I will blog post about it next week. I am leaving the triangles until I have added the petals so that I can see what goes best with my pink and green fabric choices. Am off to get that scant 1/4″ tape now – from a UK company if I can. I have looked everywhere online but can’t find these tools available in the UK. Have you had any success Amanda? I wonder if washi tape would work? Going to spend my weekend perfecting those 1/4 inch seams now that I know where I have been going wrong. So many tips, so useful, I’m glad I’m here! Next week (Now, we have Easter! )I’ll start with this! Cant wait!